The annual Canberra Flower Show (Floriade) kicked off soon. 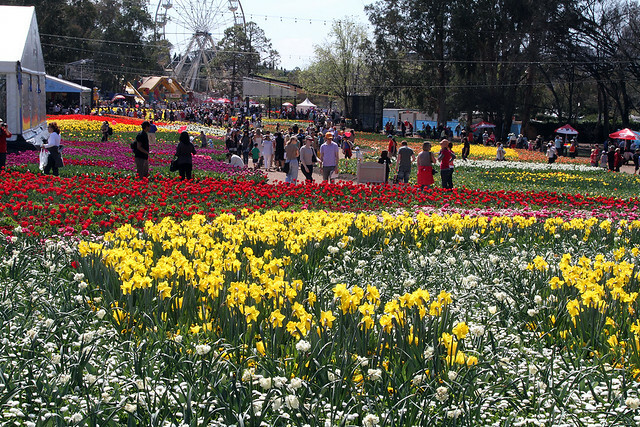 Canberra flower show began in 1988, and Canberra was built to celebrate the bicentenary of Australia founding City Diamond Jubilee from concept originated Large Flower Festival Flower Show and local decennial the world renowned Keukenhof. The annual flower show held in Commonwealth Park. Flower Show is not only a local event, but also attracts people and flower lovers from other parts of Australia and around the world come to watch the show. Only for last year, nearly 38 million visitors came to Canberra and brought considerable benefits to local tourism and retail. In this Australia's biggest flower festival, countless flowers bloom to make the spring of Canberra lively. In September and October, the Commonwealth Park flowers bed scented like a huge canvas flower pattern painted over and added infinite color into this season for the open green space and local Botanical Gardens in Canberra. At the same time you can also enjoy the flowers blooming bucket Korea, getting around the bustling bazaars and food stalls, and participate in workshops, exhibitions and live concerts. 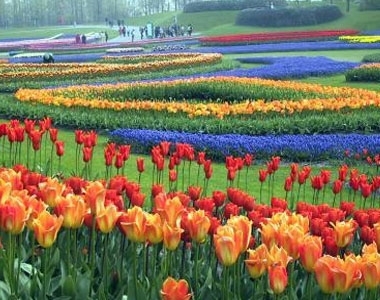 Learn gardening, watching movies in the flowers under the floodlights, or walk along the path of the Flower Festival (Floriade Trail) are also good ideas to enjoy the festival.